I know, I’ve been out of control with chocolate this month. 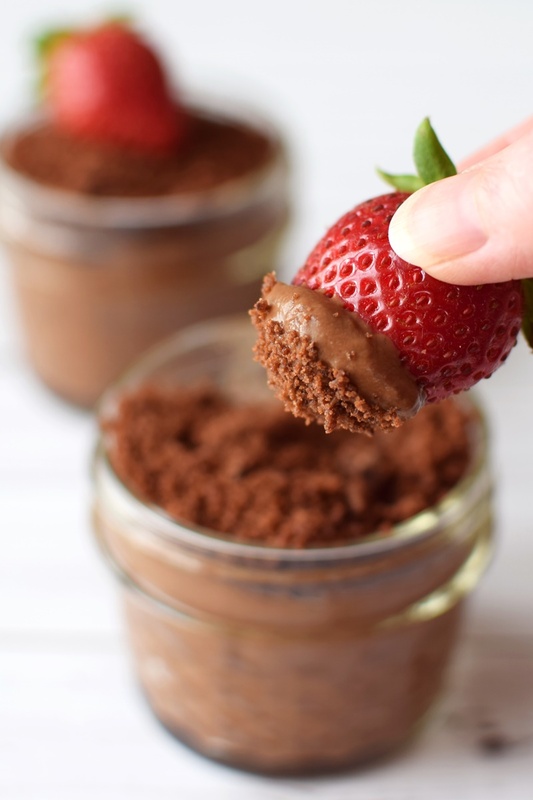 Triple Chocolate Ice Cream Cupcakes, Mocha Fudgesicles, Chocolate Whipped Cream, DIY Candy Bars and now these Dairy-Free Dirt Pudding Cups. I promise, I’ll bring you some non-chocolate goodness in June, but I simply had to share this easy, fun, delicious little recipe before Allergy Awareness Month wraps up and in time for Memorial Day Weekend. Enjoy Life sent me a neat little care package to make dairy-free chocolate pudding cups for their May #SpringFreely event. They included a recipe, but of course, I couldn’t resist going rogue. I whipped up my own modified version while still using their chocolate chips and crunchy cookies (so good!). To note, I used So Delicious Light Culinary Coconut Milk or the liquid, which is equivalent to a good quality canned light coconut milk. Though this is richer than milk beverage, I do think this recipe would work with unsweetened coconut milk beverage, too. 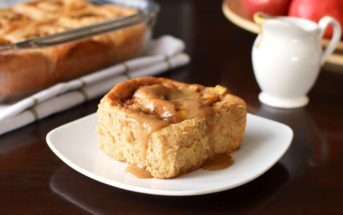 Just be sure to let it chill and thicken a bit in the refrigerator. 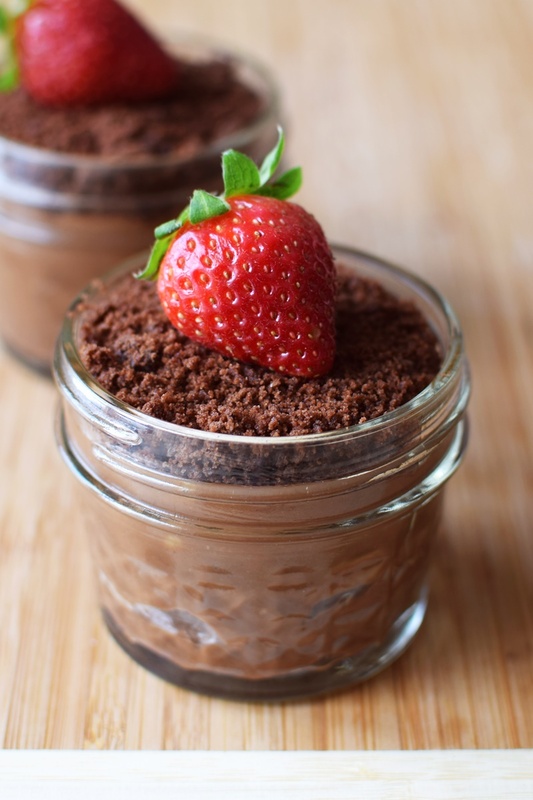 When made as is, this simple dirt pudding is a fabulous make-ahead dessert for barbecues, potlucks and birthday parties that both kids and adults will love. And since it’s vegan and top allergen-free, it’s perfect for sharing with almost all, if not all, attendees. And you may have noticed my uniquely fresh topping. Most dirt pudding cup recipes have gummy worms emerging from the cookie dirt You can certainly go that route … Surf Sweets makes some that are not only allergy-friendly, but also vegan for those who avoid gelatin. I’m not a big fan of gummies in things like pudding or ice cream, so I opted for fresh seasonal strawberries instead. I served additional strawberries on the side, so dessert-goers could enjoy the cookie dirt pudding as a dip, if desired. 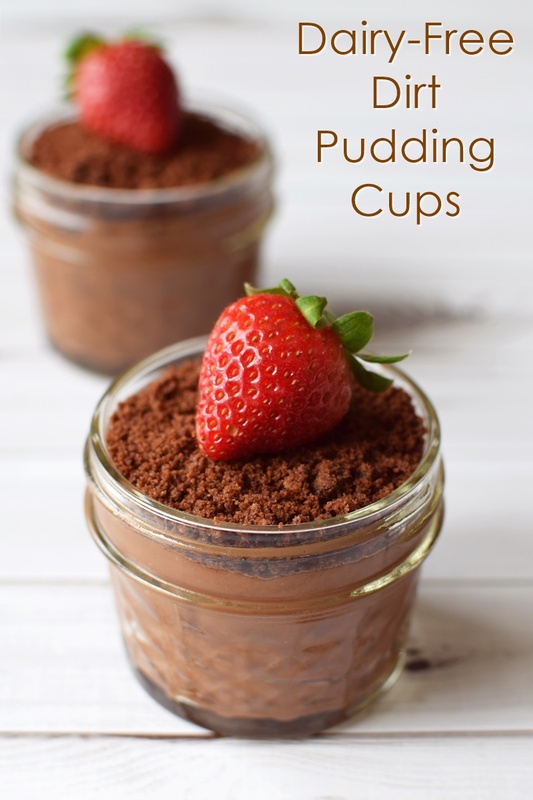 These super easy dirt pudding cups take minutes to make and are a great make-ahead treat for barbecues, potlucks and kids parties. Place the coconut milk, avocado, chocolate chips, sweetener, cocoa powder, vanilla, and salt in your blender and puree until smooth. You can start with less sweetener, and add more to taste, or you might want more sweetener than what I use. 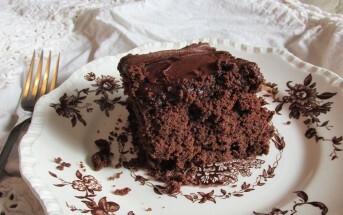 My version makes a semi-sweet chocolate pudding. Divide the pudding between 3 to 4 cups (I use mini jars) and top each with the crushed cookies. For optimum taste and texture, place in the refrigerator to set up for 1 hour or longer. If desired, top with a strawberry and serve with strawberries on the side for dipping. Other optional topping ideas include allergy-friendly gummy worms or mint sprigs ("planted" like little sprouts). Ideas for those with DAIRY and COCONUT allergy? Thank you Hannah! Yes, it would be, that’s such a great idea! Hello! Love this! Is there something else to use instead of avocado? Would a 4oz jar be a good size to purchase? Thank you!